Au Lit Ma Chérie. French. Interiors. Style. That's All. This article was posted on 21st June 2012. Birds, butterflies, bees and animals - they're everywhere on the catwalk and high street this season. The interiors world always follows the fashion world. So get there first with an ideal accompaniment for your new French Bed with our natural-history inspired illustration cushions, drawn from antique encyclopedia from the 18th and 19th centuries. Handmade in Edinburgh, they are printed onto natural linen with smart piped edges. There's always room for another cushion in one’s life, don't you think? Whether to pimp up a plain new sofa, to cosify an armchair in a quiet corner, or the final touch to your Upholstered Bed. Pair them up for smart symmetry or mix and match for an eclectic look. It's an inexpensive and instant treat for your interior. 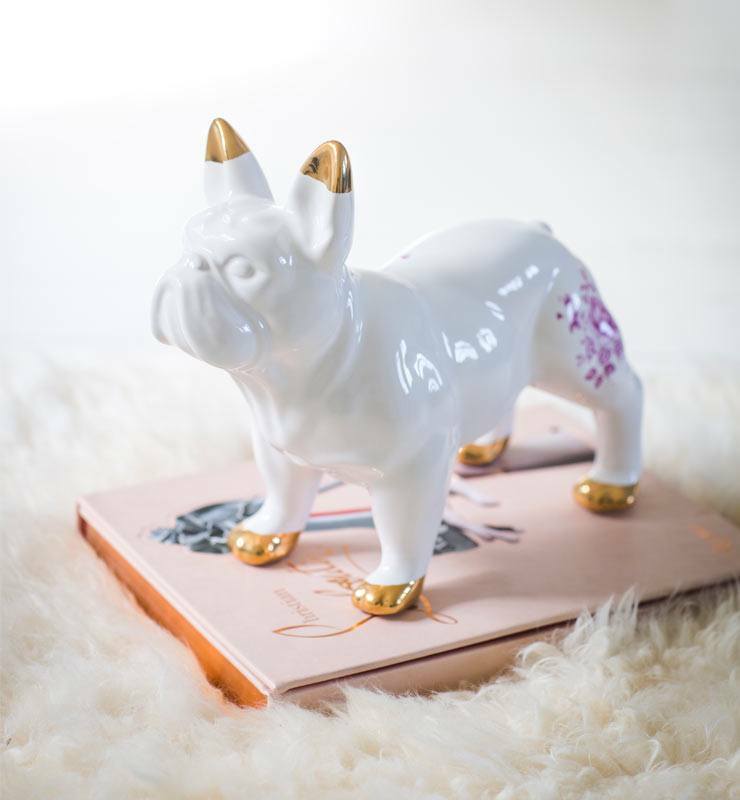 Finally, if you're feeling extravagant, there's always one of our amazing ceramic dog lamps. Choose from a Poodle, Greyhound or Bulldog – why not?! What is Your Spirit Sleep Animal? Getting a Good Night’s Sleep is Trendy in 2019: But How? Get on The List: Receive exclusive offers, trend alerts, style guides and secret sales.